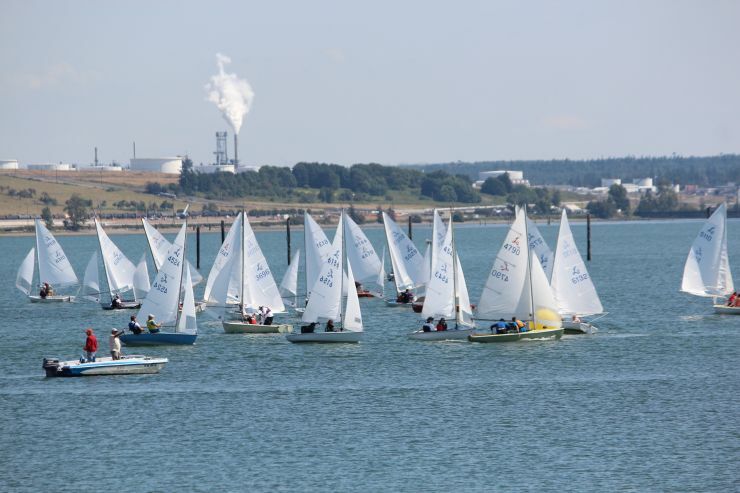 Lido Fleet 25 sails out of WSC in Portland and has been continuously active there for well over 40 years. Today the Lido 14 is the most popular double handed boat raced at WSC. 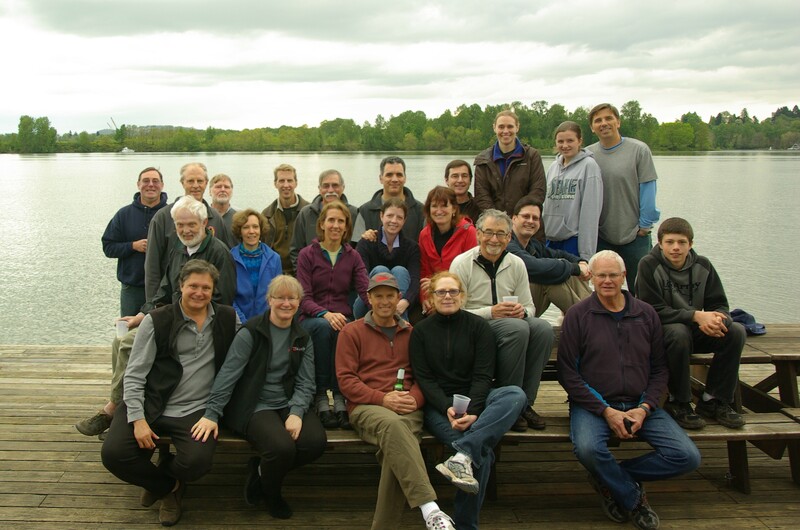 Fleet 25 organizes many racing and social events throughout the year including the Lido-only Turtle Regatta in May, racing clinics and numerous BBQs and pot luck dinners. 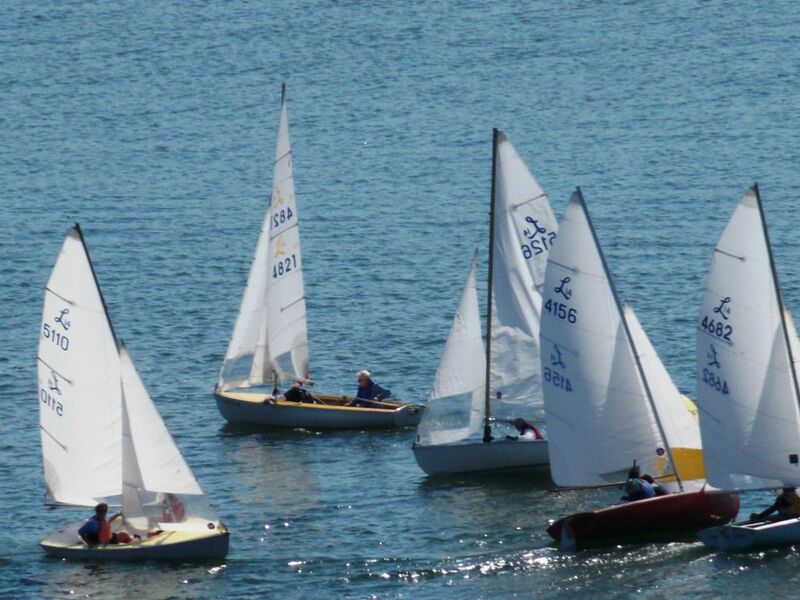 Our fleet travels to many regattas throughout the Northwest. Many away regattas include camping with fellow Lido friends or home stays with other fleets. The social part of our fleet is very important and by joining Fleet 25 you are supporting the growth of Lido sailing and joining a fun group of people. If you own or are purchasing a Lido 14 and you intend to actively sail and/or race in the Portland area, we encourage you to join the fleet so that you can get the most from your boat. If you are considering purchasing a Lido, Our fleet captain (see below) is happy to answer questions. If you want to join Fleet 25, or have any questions about the fleet contact our fleet captain Geoff Fanning. Membership currently costs $40 per year, and includes membership in the national Lido 14 Class Association. We expect the Lido class to remain active and healthy for many years to come. Our local fleet complements the Lido 14 Class Association. The Lido 14 continues to be a great boat for both pleasure sailing and racing. The Lido races with two people but can sail comfortably with 4 adults. It has bench seating and a covered deck which makes it stable and ideal for families and novice sailors. Over 6000 boats have been made and because they are simple and durable, it is easy to find used boats for sale. You can find a boat starting around $1000. 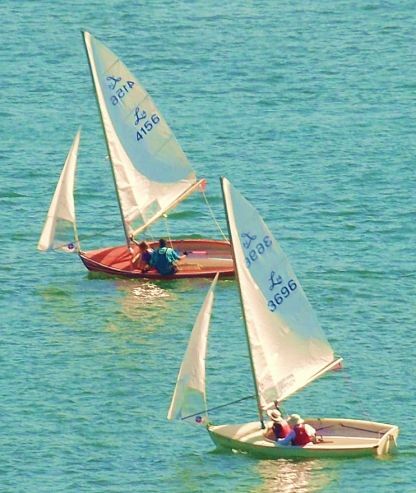 The Lido is ideal for beginners to learn to sail and then to transition into racing using the same boat. New sailors will also find that members of Fleet 25 are welcoming and more than willing to share their experience and technical know-how about the boat. We also try to have yearly racing clinics covering rules, boat handling, and Lido specific racing strategies. In the 1990’s an updated double-hulled Lido was introduced and is now available new from the manufacturer. This new “6000 series Lido” is competitively equal to the ” Classic” and you will see the two styles racing neck and neck for the finish line. The Shock Company continues to invest in the Lido to keep the fleet expanding and competitive as an affordable one design boat. Although the boat is great for beginners, experienced racers will also find challenging competition both in the tactical sailing of a Lido 14 and in the depth of skill among its sailors. There are lots of ways to find out more and to get involved with Lido sailing. You can contact Kathy Sandifer (Fleet 25 fleet captain), come meet us or crew with someone on any WSC fleet racing night (usually Wednesday nights throughout the summer) or come watch a local regatta. If you are interested in racing we also have a loaner boat that is available during scheduled WSC series fleet racing. Trailering advice from Fleet 59. Tuning guides from Fleet 59. Gresham Boards builder of performance Centerboards and Rudders.